A compelling combination of advice and inspiration, Dancing on the Head of a Pen will challenge and encourage writers, artists, musicians, painters—anyone drawn to a life of artistic expression. Digging deeply into his own writing habits, failures, and successes, Robert Benson helps you choose the ideal audience for your work, commit to it, and overcome the hurdles that inevitably confront both aspiring artists and accomplished professionals. Extending beyond the craft of writing, this gentle book moves into a rich discussion on the relationship between spirituality and art. 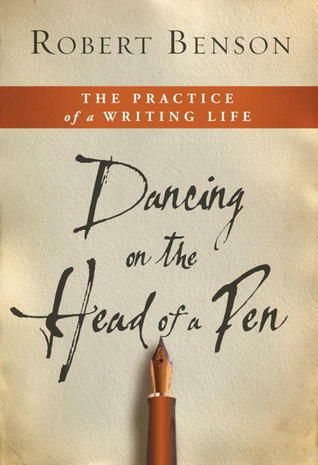 Including wisdom from revered writers past and present, Dancing on the Head of a Pen is a beautiful mosaic of inspiration, practical help, and a glimpse into the disciplines that shape one writer’s life. This is a likeable book which focuses more on the attitudes we should embrace when we set out to write, rather than the craft itself. The author is whimsical, wry and willing to poke fun at himself. He comes across a bit like the type of friendly University Professor whose classes and lectures we always look forward to. The book is full of short chapters, each designed to coerce us into the right head space for writing. Some of Benson's advice includes not to think about the fact that we are attempting to write a book, but just enjoy each step, because when you really think about it, who needs another book anyway? So many good books have already been written, that anything by us will seem audacious and pretentious anyway. To quote Robert Benson himself when impressed by another author, 'I felt if I wanted to contribute to the literary world, I should offer to do his laundry and mow his grass, so he has more time to write.' I appreciate books which help us to just plow through inferiority complexes and get on with it. More of his advice includes courting our muse, who often shows up when we're just wandering around doing something else. He calls Writer's Block 'the affliction that must not be named' and has handy tips on dealing with it. My favourite chapter is one on the several hats we have to wear as writers, but never at the same time. Benson keeps a beret, a baseball cap and a fedora on prominent display to remind him of his separate roles. The first is for the creation of his initial drafts, the second for editing, and the third for getting out into the world to do all the scary, but necessary, PR stuff. Finally, he counsels us to take it slowly. Fast is good for many pastimes, but not writing, and to help us stay patient, he reminds us that our work in progress is more important to us than to anyone else, after all. In spite of all this common-sense reasoning, it is a book which encourages me to pick up my pen and write more. Thanks to Blogging for Books and Water Brook Multnomah for my review copy. It's my great pleasure to welcome award-winning South Australian author Rosanne Hawke to the Vince Review today. 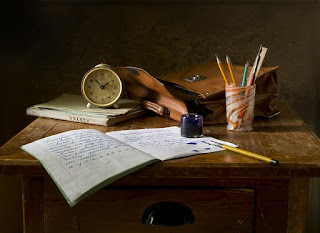 I invited Rosanne to share some of her insight about writing for the young adult market, gleaned from her wealth of experience in both writing and teaching. Many of her stories for children and young adults have filled our shelves during our years of homeschooling. Her most recent publication is the second edition of 'Zenna Dare' published by Rhiza Press. My writing career began with young adult novels because that was the age of my children. Since then I have learned more about YA. 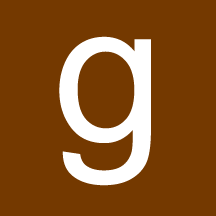 I don’t call YA a genre as there are many genres included within YA; rather I call YA a field of writing. Some of the series and genre books found on YA shelves are labelled teen fiction and are not true YA literature. YA fiction is usually stand alone literary and innovative fiction that explores the human condition for young people between the ages of 12-18. The protagonist is a teenager and the content is interesting to a teen audience, often including high school life, identity issues and coming of age. YA may have begun as a marketing ploy or as a gap for those readers who had outgrown children’s books but weren’t ready to jump into adult-themed works. However, it has become a strong field of writing which is widely read, and by more adults than many realise. When writing YA I believe it’s imperative to capture the ‘voice’ of the narration. I didn’t start writing Marrying Ameera for quite a while as I couldn’t ‘hear’ the right voice for Ameera’s first person narrative. Once that came the story followed. Jennifer Hunt, editorial director of Little Brown, says, ‘When the character has an original voice and it’s coupled with a great plotline, that’s what makes a book truly distinctive’.1 As with other age groups I find it important to know as much about my characters as possible: most importantly what they want, which will drive the plot; what they fear, which will supply conflict; plus their talents and flaws, which help shape the ending. Dialogue is an important part of YA writing. If the dialogue isn’t genuine it won’t get past a commissioning editor. The dialogue doesn’t need to be in ‘teen speak’ or the book will easily date. As with all good writing it’s the appearance of a type of speech that shows the character’s personality and age without having to spell it out like dialect. YA is often written in first person as young people enjoy the intimate style, though it doesn’t have to be. There is no formulaic structure for YA which contributes to its innovative power. However, it does need to target the age group. Issue or problem novels do abound but are not precursory. I suggest reading YA books and check what works. Pull apart the plots to see how the authors have structured the novel. Remember what teens are going through in their physical, mental, emotional and spiritual development and how that is going to impact on character growth in a story. Be genuine and wise, always offering hope, and your story will move readers who are forming their own view of the world. An exercise to try is writing a dialogue between two teens (maybe one wants something from the other). Then try another dialogue between a teen and an adult to show the difference in their voices and also the power struggle in their relationship. 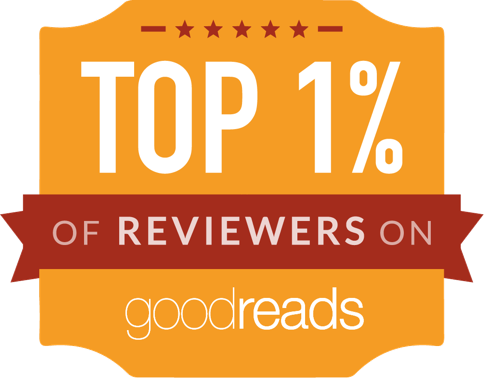 Enjoy, I believe YA is an inspiring and important area of writing where authors can offer rich narratives of redemption and hope. 1 Brooks, R. (2009). Writing great books for young adults. Naperville, Ill: Sourcebooks, p 26. 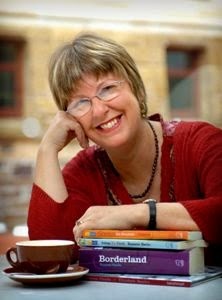 Rosanne Hawke has written over twenty books for young people, including , The Messenger Bird, winner of 2013 Cornish Holyer an Gof Publishers Award for YA Literature and Taj and the Great Camel Trek, winner of the 2012 Adelaide Festival Award for Children’s Literature. 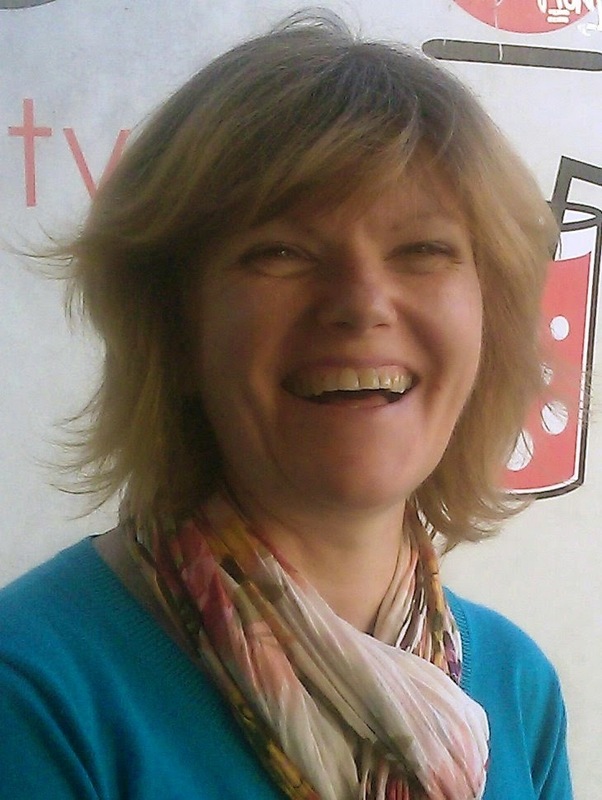 Rosanne was an aid worker in the Middle East for ten years and teaches Writing for Children and YA at Tabor Adelaide. 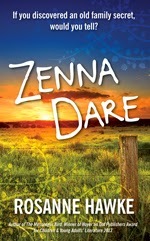 Her latest YA novel is Zenna Dare (2nd edn) from Rhiza Press. Mercy and Melons: Praying the Alphabet is a collection of lyrical meditations on the practice of praying the alphabet. Each chapter focuses on a letter of the alphabet by naming an everyday object and a theological theme offering subtle and elegant takeaways to spark the reader s imagination as well as their practice of prayer. In the Hebrew acrostic tradition, praying the alphabet served as a pathway to memorization as well as a prompt for thoroughness. Even more so, praying the alphabet put all of the letters into God s presence so that He might arrange a person s unspoken prayers. Drawing on this rich tradition, the book adds two dimensions. First, the book encourages eyes to see the word made flesh in the melons and grasshoppers of daily life. And second, the meditations draw the reader into the flesh made word by asking the reader to articulate and name in specific ways what came alive for them each day. 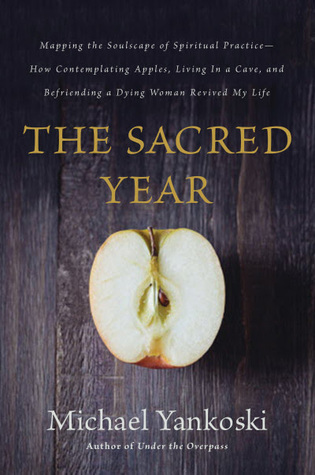 Praying the Alphabet is a practice as timeless as the Old Testament and for every day that ends in y, this book offers momentum for the journey of prayer and paying attention." This is a prose book written by an author with a poet's heart if ever I saw one. She suggests a new way of forming our prayers, based on the alphabet. You pair up the name of a common object with a theological attribute. They must both begin with the same letter. Then you ponder possible connections and insights about God and life. Lisa Hickman gives us her own examples in separate chapters ranging from A to Z. Mercy and Melons, of course, is her contribution for the letter M.
She believes it's an exercise which helps broaden our imaginations. I was skeptical to start with. It seemed restrictive to confine ourselves to things beginning with the same letter, as if we're trying to force connections. Just as I was thinking of giving up on the whole concept, I found her examples beginning to grow on me. Next, I found my own imagination ticking away with ideas which made me dash for my notebook. It does work. As well as the prayerful purpose for which Lisa Hickman uses it, I believe this would be a good tool to get ideas flowing in creative writing workshops. I've heard that prayer and writing have the same taproot, so no wonder that makes sense. Anyone who wants to take up the challenge could fit it easily into a year. You could do one letter each week, doing two rounds, or take it fortnightly and go through the alphabet once. Maybe I'll even consider giving a go myself at the start of next year. Thanks to Abingdon Press and Net Galley for my review copy. Today's list is this week's topic from 'The Broke and the Bookish' I always hope my books will want to make readers visit the Adelaide Hills the way these other books have made me curious to visit their settings. Although imaginary settings are permitted, I've decided to stick to places on earth. So no Narnia, Hogwarts or Middle Earth will appear, however much I might want to see these places. The last place on my list may be fanciful, but somewhere that could exist on earth. 1) Nantucket Island from 'Summer House by Nancy Thayer. I borrowed this novel from my local library. Being an Aussie, I wasn't familiar with the setting, but was impressed enough to visit it via Google Maps. It even looks like a big smile in the sea. The characters seemed to live in a beautiful holiday setting with beaches out of every window. However, when I saw the average climate chart on Wikipedia, I decided it would be a bit too cold for me, ranging from 3 degrees C in January to highs of just 23 degrees in July and August. 2) Prince Edward Island from 'Anne of Green Gables' and every other book by L.M. Montgomery. LMM surely put the place of her birth on the world map of places to visit. I visited here via Google Maps too, and it still looks as beautiful as she described it, including the famous red roads. 3) Cornwall, Britain from 'Jamaica Inn' by Daphne du Maurier and 'The Tutor's Daughter' by Julie Klassen. This is a place I was lucky enough to actually visit, back in the 90s. I even have ancestors who lived here. I can say through experience that it felt like the warmest place in Great Britain, although still cool by my standards. The treacherous coastline makes it clear why authors such as these use it for settings in their historical novels about wreckers and other crooks. It was at a town named 'Mousehole' in Cornwall, where my dad was attacked by an enormous seagull (bigger than Aussie ones) who stole his whole Cornish pasty. 4) Israel from novels by biblical authors such as Lynn Austin and Mesu Andrews, (not to mention the Bible itself). After reading 'Pilgrimage', a memoir about Lynn Austin's own recent travels here, I had a real hankering to go and explore Jerusalem, Bethlehem and surrounding landmarks. 6) Papua New Guinea from 'Cathy' by Elva Shroeder. This post is about places books have made me want to visit. That was definitely the case here, as I never had any desire to visit before reading this novel. Cathy's experiences as a missionary in PNG were so vivid and interesting, I would have been willing to go. 7) Country Africa from 'African Hearts' by Laura O'Connell. The same as above. The flora and fauna described in this novel, and the community spirit shown by the characters, is very appealing. It is easy to see why cosmopolitan main character, Gina, wanted to stay, although she never thought she would. 8) Ireland from 'Song of Erin' by B.J. Hoff, and many other books she's written. Many forebears of mine hailed from here too, so I guess I might have the Emerald Isle in my blood. 9) Resolution Island from the Resolution trilogy by Rose Dee. Although Resolution Island itself is fictional, I was able to visit far north Queensland with my kids just last year, staying with my sister and her family in Cairns. If you've heard that this part of Australia is a tropical paradise, it's all true. When I returned home to South Australia, I missed the bird calls of the curlews at night, which sounded like screams. 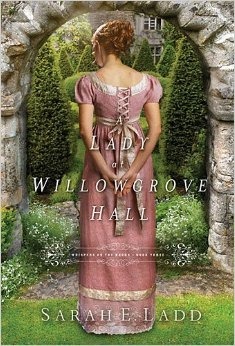 10) Austenland from 'Austenland' by Shannon Hale. This is a fictional tourist centre/ theme park in which ladies pay to live in Jane Austen's Regency England for a period of time. You get to dress like the characters and rub shoulders with charming, costumed gentlemen all day, who are willing to put on shows, making you the heroine of your own story. Who wouldn't want to stay here? Willowgrove Hall is full of secrets, but soon everything hidden is brought to light. Cecily Faire was sent to school at Rosemere College in disgrace by a furious father, for a reason she tries hard to keep to herself. Now that she's been offered the position of companion to an elderly gentlewoman, Mrs Tryst, she feels she has to guard her background more closely than ever before. Nathaniel Stanton is the young, hardworking steward/bailiff of Willowgrove Hall. He's attracted to the new companion, although he knows it's no use because Mrs Tryst always turns her companions against him, for a reason he has no control over. I love visiting the British Regency era in novels such as this, when social classes were so marked that a wealthy woman could afford to hire a companion just to have some company. Despite her formidable reputation, I found myself feeling a bit sorry for Mrs Tryst even before meeting her, as it seemed she was surrounded by young men just waiting for her to die so they could inherit their future estates. As for her gripe against Nathaniel..., well, although not fair, it's easy enough to understand. This novel is written with such nice, detailed descriptions of buildings, rooms, gardens and landscapes, that I wouldn't be surprised if the author had some photos and other research to base them on. I enjoyed how she put us right in the picture, and I was a bit concerned about the future of beautiful Willowgrove Hall itself, at the finish. Cecily is an exemplary heroine, except for one pivotal lack of judgment toward the end, which I suppose every heroine is entitled to. Basically, she decides not to give Nathaniel a chance to react however he might, fearing what he might say. Of course, her behaviour gives him another chance to shine, and heroes like Nathaniel are the reason why we ladies like to read these Regency romances after all. It's my pleasure to welcome a fun author who did what I'd once dreamed of doing, and left Australia to live in England, where she currently resides. Autumn is also a loyal supporter of other Christian fiction authors from around the world. I'm so glad she chose to use the brilliant analogy of the labyrinth, which has been on my mind recently too. Make sure to check out her two Christmas stories at the end of the post, which sound like excellent reads for the festive season almost upon us. She is offering a bundle of both new releases as Kindle mobi files for one commenter on this blog post. Now, here's Autumn. THE LABYRINTH OR THE MAZE? How did an Australian girl from Sydney end up living in England and writing English set romances, when I came to London seventeen years ago planning a one year working holiday? The answer is that God sometimes has unexpected plans for us, and sometimes His paths for our lives take us in directions we never imagined. 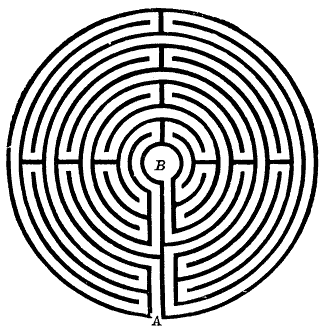 Since I read Paula’s post on her It Just Occurred blog on labyrinths, I’ve been thinking what an interesting symbol and metaphor labyrinths are. Just like a labyrinth, my life has certainly been full of unexpected twists and turns, though at times it’s felt more like a maze. By staying in England, I repeated the twists and turns in my father’s life, an Englishman who on a working holiday in Australia back in the late 1950’s met and married my mother, and didn’t return to Britain until he came back to attend my wedding to an Englishman, forty years later! My spiritual life has followed a similar winding path. We live not far from this turf maze in Hilton, Cambridgeshire. Although in Britain labyrinths are called mazes, they are very different to a true maze. Unlike a maze, there are no dead ends in a labyrinth, no blind corners, no wrong choices. A maze is designed to confuse and entrap the walker. In a labyrinth, despite all its loops and curves, now moving closer to the centre, now moving further away, there’s only one pathway. Keep following it, and you will reach the centre. It’s impossible to get lost once your feet are on the path. 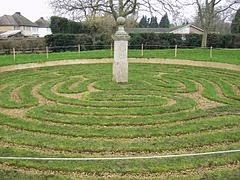 The labyrinth is a symbol of our journey toward God. There’s no magic in the labyrinth itself, it’s not what brings us closer to God. But it’s a reminder of the path we are on, the One path that leads to God through Jesus. A symbol, and a powerful one, just like our communion bread and wine or grape juice are symbols of His death for us. Walked slowly and prayerfully, a labyrinth reminds us to slow down, to focus on God, and on His path for us, rather than our own rush to reach our short term goals. Once we start into the labyrinth, as long as we keep walking steadily, following the path even when the direction it’s taking seems to make no sense, we will reach the centre. No matter where we are in the journey, we have only two choices, keep moving forward on the winding path that leads ultimately to Him, or turn away from Him and go back. Even so, our feet are on the path He made for us. Walking the labyrinth is a reminder of obedience to Him. To follow His long and winding path for our lives, when it looks like there’s an easy and obvious short cut to the centre, when we may be see other getting there sooner. To prayerfully keep our feet on the path on which He sets us. To follow his guidance with joyful obedience even when it seems counter-intuitive and as if it will take us further away from our destination. That’s been a difficult lesson for me to learn. Too many times, rather than following God’s path, I’ve tried to take short cuts instead of staying on the path He’d laid out for me, and found my paths took me further away from Him, my real goal. And my short term goals, the ones that tempted me from His path, proved elusive anyway. God tends to lead us on spiral paths, where it can feel as if we’ve made no progress at all when in fact we’ve come a long way. Thankfully, no matter how far we stray from Him, He never lets us go and will always lead us back to the right path again. All it needs from us is the willingness to turn our feet back to his ways again. In my writing, just as much as my life, I’ve followed a roundabout path. 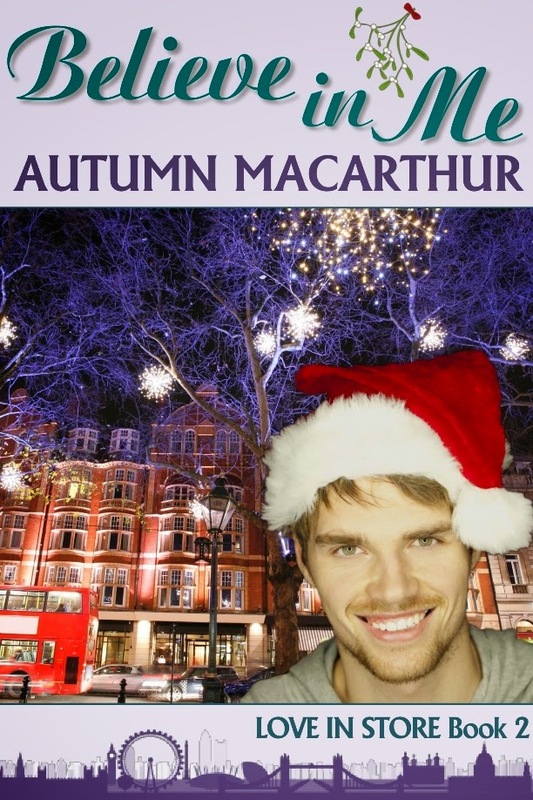 My October release, Believe in Me, a London set Christmas romance with a strong faith element, started life two and a half years ago as a sweet but secular short novella, at a time when I’d chosen to take some big steps away from God’s path for me. Thankfully, the publisher I’d aimed it for rejected the story! It had been longer than they wanted 22,000 words not 15,000, but shortening it the required 30% didn’t do the story much good. Not a surprise really! I see all those rejections when I was writing secular stories as blessings, as God still working in my life even when I’d chosen to follow my own path not His. I wanted the short cut to fast publication, God had other plans. Like a loving parent, He refused to let me have what wasn’t good for me. He called me out of the maze, and back to the labyrinth, to His path, to living and writing for Him. And setting my feet on His path had a sense of rightness I hadn’t felt anywhere else. I’ve discovered there’s a comfort in the labyrinth, in the one sure path to the centre. There’s a joy in trusting that the twists and turns will bring us home. When a friend suggested a Christian publisher was looking for a novella with a London setting, I saw how that old rejected Christmas novella needed a faith arc to make it whole. Without God in it, the story was lopsided, like a broken Christmas tree. Only God could give my deeply wounded heroine the healing she needed to turn her from Ms Scrooge into someone who could feel the joy of Christmas again. Unfortunately that publisher wanted shorter novellas too, so this story wouldn’t fit there, but when I saw the announcement for Harlequin’s So You Think You Can Write contest last year, it seemed Heartsong, one of their Christian romance lines might be a good fit. I began the rewrite of Believe in Me, entered the first chapter, and was blessed and surprised to semi-final, then as a result get an enthusiastic invitation to revise and resubmit the story from the lovely Heartsong editor. It seemed this story may have found its home. But no, in the revisions the story grew to 60,000 words, far too long for Heartsong. God had other plans. After much prayer, instead of resubmitting Believe in Me to Harlequin, I was guided onto a different path, to indie publish this story. And so in October, the story will finally be published. It feels so fitting to me that a story with the Prodigal Son or Daughter as a theme was the story God used to call me back to walking His path! I’m sure the labyrinth has plenty of twists and turns, but one thing I can be sure of is that the path leads to Him. I’m not sure where He’ll lead me in life, but I do know with my stories, there will be several more Love in Store books, set in Britain. Then back to Australia for my Haven Bay series. I can’t wait! With her eye for design and her cut-glass accent, no-one would guess Beth Forrest’s impoverished background. It’s all throw pillows, china patterns, and upper class brides as she manages the Wedding Registry at Pettett & Mayfield, the stately maiden aunt of London department stores. It’s not quite her dream job, but each bride she helps to select beautiful and oh-so-expensive items for their gift list brings her one step closer to buying a little home of her own, and financing the education she longs for. Now her first love is back, determined to make her his partner for life, not just the evening. But unless Beth can let go of the mistaken beliefs that separated them in the past, and appreciate the depth and breadth of God’s love for us all, her only gift from the wedding will be another heartbreak. All Cara Talbot wants for Christmas is for it to be over. The workaholic accountant has good reason to hate Christmas, along with charmers like actor Nick Callaghan, playing celebrity Santa at the failing London department store she has the thankless job of managing. She’s determined to save her staff’s jobs, Hollywood golden boy Nick just wants to live up to his Mr Unattached reputation and enjoy life. They couldn’t be more opposite. But if accepting Nick’s dare – dates showing her the magic of a London Christmas – can raise enough publicity to keep the store open, she’ll do it. Even if she risks falling in love with him in the process. Can this surprising Santa allow love to deepen his untested faith and learn to commit, while helping Ms Scrooge believe in Christmas, and in God, once more? Book 2 in the Love In Store series of sweet inspirational romances. 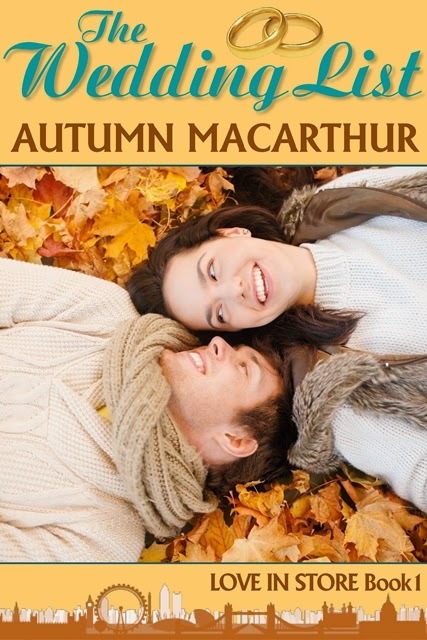 Autumn Macarthur is an Australian writer of inspirational romance living near London with her very English husband, three spoiled cats, and a guinea pig with a dandelion addiction. She loves reading, cooking, gardening, and writing deeply emotional stories to make you smile and remind you how big and wide and deep God’s love and forgiveness can be. She tends to talk a little too much and laugh a little too loud, her sleep schedule is all over the place so you’ll often find her on the internet at 5am, and she’s grateful to be blessed with some good friends and a very patient husband. She’s also eternally thankful for God’s great love and mercy. When she’s not talking to her strawberry plants or cherry blossoms, she can be found blogging at www.faithhopeandheartwarming.com ; on Facebook as Autumn Macarthur, and on Twitter as @autumnmacarthur. Are you exhausted? Women today really do feel the weight of the world on their shoulders. Every morning we are greeted with a long list of to-dos: get the kids up and out the door on time, have a meaningful quiet time, put in a full day at the office, spend an hour at the gym, prepare a healthy and delicious meal (organic and locally grown, of course), and make sure the sink sparkles before you go to bed. Oh, and don't forget to look great and smile while you're doing it. These are all good things to do, of course. But the bigger problem occurs when we start to feel as if our worth is measured by our to-do lists. And the messages we receive at church, on Facebook, and from the media only perpetuate these unrealistic expectations, creating a relentless cycle of exhaustion. 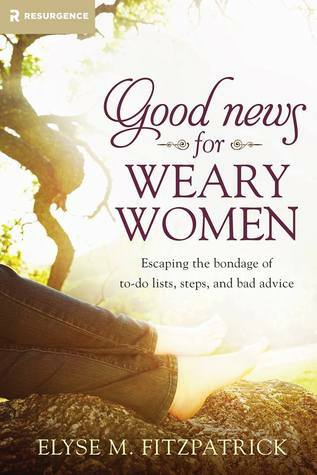 As Elyse Fitzpatrick has traveled this country, she has seen increasing evidence of this weariness epidemic invading our churches and communities. And she has good news for women everywhere: there is hope! God doesn't judge us by our to-do lists. Instead, He calls us to faith. Free yourself today from the endless stream of bad advice and discover the true rest God offers. This is a wonderful resource for those of us who wear ourselves out with anxiety about measuring up to whatever the world tells us we should be doing. We are anxious to perceive clear callings in our lives, and then carry them out. But when asked directly what we must be busy with to be sure we're doing the work of God, Jesus replied that our only work is to believe in Him whom God sent (John 6:29, backed up later by Acts 16: 30-31). In the light of all the to-do lists, hard work, people pleasing and guilt-trips we put ourselves through, I think this has the potential to be as radical now as it must have been when He said it, if only we slow down long enough to let the repercussions sink in. Elyse Fitzpatrick explains that we sadly live in a Christian culture which is essentially the same as the world around us, based on a 'what goes around comes around' principle. We have the programmed belief that if we do good things, God is obligated to bless us, and if we do bad, He'll punish us. This, she says, is nothing more than karma dressed in a Christian dress. I've been sucked into the performance mode, and found this book's emphasis on the free gift of grace most refreshing. The New Testament stance of boasting in our weaknesses and knowing that Jesus' righteousness covers us is something we rattle off, but is so counter-cultural to the way we truly think. We need the reminder that we are free to boast only in the truth, that we are loved by God. All the law we must obey has already been obeyed by Jesus on our behalf. It's such a needless burden to think that our identity is derived from our actions and others' approval. This book has got me all set to believe that God is as good, powerful, wise, loving and friendly toward me as He says He is, and relax at last. Why listen to the voice of guilt when forgiveness has been freely granted? It's crazy! Thanks to Net Galley and Tyndale House for my review copy. This is a fascinating story about Ezra, one of God's chosen Biblical leaders, and the duties and passions that consumed him. I love how Lynn Austin features such large figures from Bible history alongside her own fictional characters, for her story is also about Reuben, the young Jewish boy who loses the plot when his beloved father dies for the God who could have saved him; and Amina, the lame little Gentile girl who comes to love her surrogate Jewish mother and her God with all her heart. For a long time, the three threads remain totally separate to the point where I was getting impatient for them to come together. It wasn't until at least sixty percent through the story that they began to merge, but by then, I decided it was a strength after all, because that's how life works. A book focused on my immediate family would have my husband's story separate from mine until we were in our early twenties. It makes the story more powerful in the second half, because even though the characters were strangers to each other, I knew them all very well. 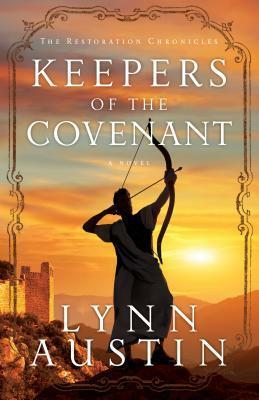 Although this is considered a sequel to 'Return to Me', they really stand alone, as the events of 'Keepers of the Covenant' take place around eighty years later. One thread tying them together is Hodaya. It was great to trace her life, from the discarded, crippled newborn in the first book, to a gracious matriarch and grandmother, living out her full lifespan. What makes Lynn Austin my favourite biblical author is the way her characters seem just like us, yet without compromising the authenticity of the times in which they lived. I understand their puzzlement when they hear of King Xerxe's death decree, under the influence of the evil Haman, as they are dealing with two contradictory, fixed opinions; God's Covenant on one side and the Persian king's edict on the other. While Ezra and his cohorts scanned the Torah for answers, I appreciate the irony that the solution ended up having nothing to do with them. (This, of course, is history.) In the story, the characters spend years referring to the events of 'The 13th of Adar' just as we do to September 11th. I totally get his teenage twins' fascination with Babylon, which seemed grander than anything they knew, and their frustration with their father's passion to keep separate when they felt inferior in so many ways. It's the modern questions about relevance, which we also deal with, and like us, Ezra learns that you can't force feeling into a young person's heart. Since our modern world has been compared to Babylon, it has to make us think. When it came to the issue of mixed marriages, Ezra's personal angst over finding the right balance between grace and mercy was heartbreaking. I love fiction like this, because so much is explained through the daily lives of the characters and their natural conversations. If Ezra can impact a fixed-minded young rebel like Reuben, he can do the same for readers. 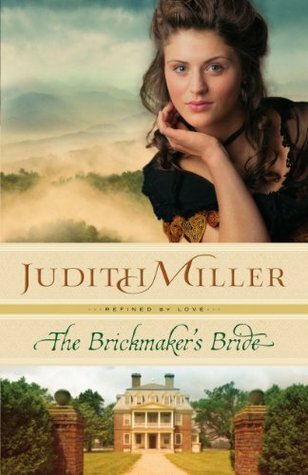 As her father was killed in the war, Laura and her mother feel compelled to sell his beloved brickyard, and the only people who seem to be looking to buy in the economically tough times is an uncle and nephew partnership from Ireland, Hugh and Ewan. But are they quite on the level? This book is a good example of why it's sometimes good to persevere beyond first impressions. I had initial preconceptions of both main characters which I had to push through, and it was worth it. Laura has a good heart, but I couldn't help feeling all through the book that if I knew her personally, I'd probably find her one those annoying friends who contradict people all the time. In fact, it would be an interesting exercise to go back over all her dialogue. I'm sure the percentage of times she delivers a rebuke or puts somebody else in their place would have to be high. Still, when we discover Laura's personal secret which has kept her heartbroken since she was young, it gives her a vulnerability which she lacked earlier on, and we can't help feeling for her. And if the rather wimpish Kathleen is the alternative type of heroine, Laura's forthrightness is probably preferable. My first impression of Ewan was that he was one of those perfect, 'what a guy' types. Some heroes start off flawed and develop good character traits as they go. As Ewan seemed pretty awesome to begin with, I couldn't see what the plot could possibly draw out of him. That was before I saw him floundering way out of his element, trying to secure future customers for the brickyard, cope with Laura's sarcastic suitor, Winston Hawkins and learn silly etiquette rules all at the same time. I was right on Ewan's side from then on! I loved Ewan's three sisters, and Uncle Hugh's relationship with Aunt Maggie is fun to read about, leaving readers to decide for ourselves whether their marriage is happy or not. The parts to do with running the brickyard are well researched and interesting. Down in my city is an old brick works which has been turned into a market, and I love this glimpse into how it would have functioned back in its heyday. The historical times were certainly different to now. Laura and her mother were determined to stay living in their mansion, yet in twenty-first century times, they probably would've considered it far too big for just two women and wanted to put it on the market along with the business. Thanks to Net Galley and Bethany House for my review copy. Frustrated and disillusioned with his life as a Christian motivational speaker, Michael Yankoski was determined to stop merely "talking" about living a life of faith and start "experiencing" it. The result was a year of focused engagement with spiritual practices--both ancient and modern--that fundamentally reshaped and revived his life. By contemplating apples for an hour before tasting them (attentiveness), eating on just $2.00 a day (simplicity), or writing letters of thanks (gratitude), Michael discovered a whole new vitality and depth through the intentional life. Guided by the voice of Father Solomon--a local monk--Yankoski's Sacred Year slowly transforms his life. Both entertaining and profound, his story will resonate with those who wish to deepen their own committed faith as well as those who are searching--perhaps for the first time--for their own authentic encounter with the Divine. I'm so glad I read this book because I almost let the opportunity slip past. Books in which authors embark on spiritual journeys have seemed a bit gimicky in the past, as if they're seeking attention, and sort of shallow. I'd ask myself how indulging in each discipline for such a short time could allow them to get an accurate picture? But I'd heard good things about this book, which made me curious to read it after all. Michael Yankoski was disillusioned at a Christian conference at which he was a guest speaker. (It had a name like 'Change Your World' something as audacious and cheesy as only a crowd of well-meaning Christians can be, he says.) He witnessed all sorts of drama from prima-donnas and broken people backstage which didn't match their polished, crowd-pleasing on-stage personas. Discouraged by all the falsity, he headed to a monastery retreat centre, where he met Father Solomon, who suggested that Michael dedicate himself to a number of spiritual practices for a year. I love this book because rather than just going through the mechanics of each of them, Michael delves into the madness of the world and quirks of human nature which make each of them so beneficial. We spread ourselves too thin, sacrificing depth in favour of breadth in our activities. We automatically assume false selves to suit occasions, choosing from a wardrobe of masks we don't even realise we own. We emphasise external productivity at the expense of contemplation, and we get overly attached to the things we produce. We are quietly terrified that if we don't stop 'swinging our hammers' of productivity, we'll sink into insignificance. Michael makes it clear that we don't do these actions out of some misguided attempt to earn our salvation, which is already a free gift of grace. It's more that we want to position ourselves to detect and reflect God's grace, rather than just being rushed through life, ignoring it. It's not a book you'll want to read through in a hurry. I'd recommend you take it as a gift, and a personal tool to savour and reflect. I've saved it among my favourites, to dip into often whenever the mad world gets too stressful. One of my favourite quotes is made by Father Solomon, who told Michael at their first meeting, 'A carnival is a wonderful place to go every now and then, but a terrible place to live.' From that moment, I was keen to see how he'd go in his attempts to escape the carnival we all know so well. There's plenty of challenge for us to try some of these disciplines ourselves, or all of them if we dare!